Every year about this time, I spend time thinking and praying about the coming year. I ask God to give me a theme and a strategy for that year. As I have been asking those questions recently, I realized that I already had the answer; 2018 is A Time to Gather. The question then becomes: what does that mean? Solomon wrote in Ecclesiastes 3:1, “There is a time for everything, and a season for every purpose under the heavens.” One of those times is found in verse five of the same chapter, “A time to scatter stones and a time to gather them.” I have had this scripture on my mind for several months. In my research I found that no one really knows what Solomon meant by scattering stones and gathering them. 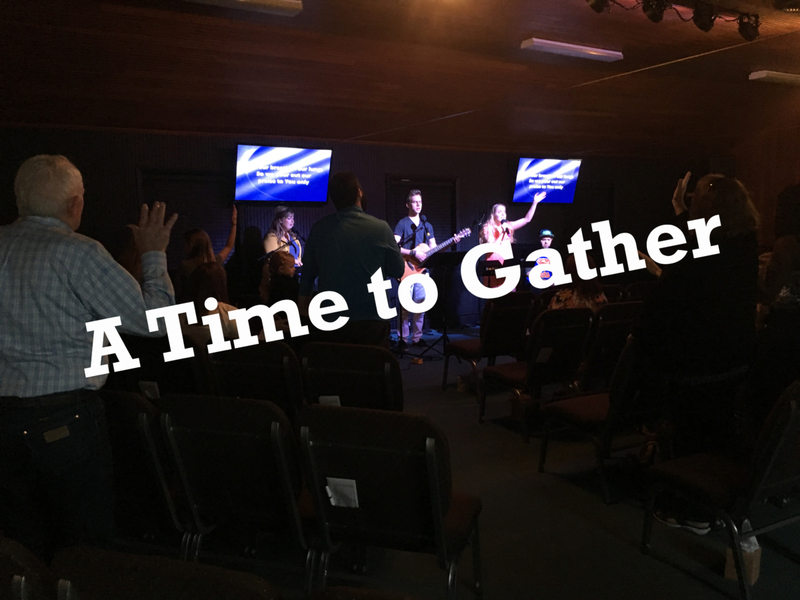 But for me and for our church I believe the answer is found in our simple mission statement: Gather, Prepare, and Send. There are times to send people into new ministry, new seasons of life, new locations. But there is also a time to gather them. You see, you can’t effectively send people into new ministry and locations if you do not first gather people and prepare them. Although there is always a simultaneous process of gathering, preparing and sending, there is also an order. We can’t effectively prepare and send people if we don’t first have people! Our church needs to grow. We need to introduce more people to Jesus as we live and move every day. We need to gather those who are excited and motivated about the commission we’ve been given to reach our communities and world with the relevance of a living and active Savior and we need to renew that vision ourselves. We need to grow in our spiritual lives and experience more of God’s Kingdom every moment. We need to expand our sphere of influence. A season of sending is coming, but first we must gather and prepare people so they will be ready to enter into a purposeful and well-prepared life. This is how God’s Kingdom is expanded. This is how our little church becomes a pillar of hope to our communities. Let’s take hold of God’s word to us for 2018 to gather and grow together. “For where two or three gather in my name, there am I with them,” (Matthew 18:20).